Classic Colonial in one of Wakefieldâs most desirable lakeside neighborhoods! 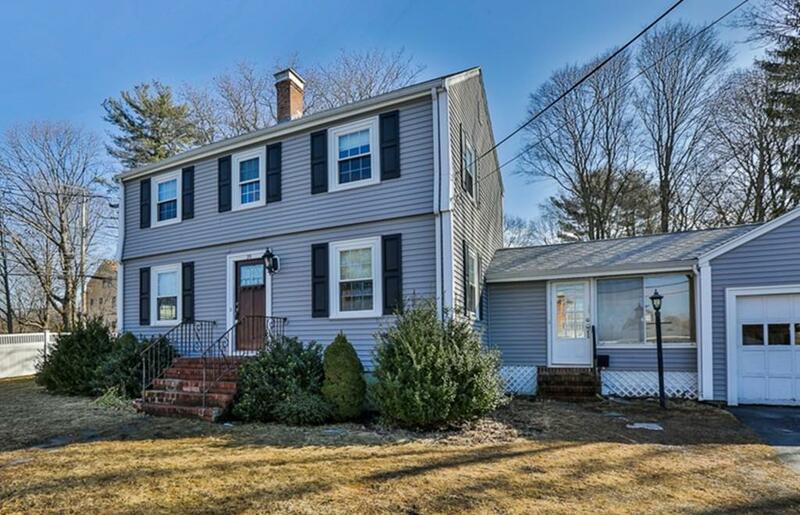 It boasts a front to back Living Room w/Fireplace & enamel stove, a beautifully renovated Kitchen loaded w/quality cabinetry, SS appliances & gorgeous granite counters w/backsplash, a wide-open Dining Room w/loads of natural light & a Mudroom & Half-Bath that perfectly complete 1st floor. Upstairs boasts a fresh Full Bath w/classic tile & 3 good Bedrooms, including a spacious Master w/walk-in closet. Basement offers great storage & young GAS heat, hot water & 200 amp electric. Lovely exterior has vinyl siding, thermal windows, architectural shingle roof, decorative front door, 1 car garage, plenty of parking and a charming, fenced corner lot. Best of all is the location! Convenient to highways, shopping & train, yet set on a quiet side-street so close to beautiful Lake Quannapowitt w/ Commons, seasonal Farmerâs market & Wakefieldâs quaint Downtown close by for year-round enjoyment. A truly lovely home!